I was attending a dance practice on Wednesday evening. At these practices we do not learn new dances; we simply practice our dances for upcoming performances. Often, our instructor, Reba J, puts on music that is new to us and we need to be able to use the choreography that we know and apply it to the new music. Sometimes this is hard on the brain! On Wednesday we were practicing the Cha Cha and you can imagine my surprise when an Irish melody came over the speakers. The song that was played was the exact song that was used when I first learned to Irish Dance. The memories that flooded back were overwhelming. When I was a young girl, my sister Mary was tasked with taking me to Irish Step Dancing lessons on Wednesday evenings. Mary would have been about ten or eleven and I was seven or eight. She had to take me to the bus stop where we would get on, buy a ticket and travel downtown. She taught me to watch for certain landmarks so that I would know when to pull the rope to ring the bell to get the driver to stop. This dance class was a haven for me. At home, our mother had been diagnosed with breast cancer and it was not easy to be children watching helplessly by. In those days the treatments were cruel and not particularly successful. The 20 minute bus ride took us to a new world. “I knew there was no future for me in football of course. Maybe that’s why I tried to play so often. When would I ever get a chance to play after high school? I wasn’t going to college, and no matter how good it made me feel or how good I thought I was, it was clear as day to me that I could never play professionally. I knew I would never play with the gods of Notre Dame. “Like I said, I didn’t even realize where Notre Dame was. It felt like a far-off fairytale land. That is, it felt far-off all the way up until late my senior year, when I went along on a religious retreat with the rest of my class to the Fatima Retreat Center... In South Bend, Indiana. Right on the edge of the Notre Dame Campus. “I was shocked that the trip was so short. If felt as if we’d barely left, what with all the carousing and joking that goes on in the back of any school bus. In reality, it was only about a ninety minute trip from Joliet. Ninety minutes and we were there. That far-off place was real. That seemingly unknowable place was close. These two, seemingly unrelated non-events (hearing a passage from a book and hearing a song) have had me thinking about buses this week, and I’ve been noticing bus stops and buses and the people waiting to ride them. I think about Rudy, who pictured his life in his small town, and who had not had much experience outside of that. When he became brave enough to take a short bus ride, he discovered that the thing he had been dreaming of, the thing that could change his whole world had been right outside his door all along. He simply needed to buy a ticket for the right bus that would take him to his dream. In my case with dancing, the bus was right outside for us too. Because we were children, it was our mother who had to have the vision to expose us to a world that was beyond what we could see for ourselves and to help us to take the first bus ride. When I am coaching I ask clients to imagine standing at a bus stop with bus after bus rolling up to the stop. Each bus has a sign on the front telling where it is headed. Each driver opens the door and we get to choose whether we board or not. I ask the client to think about what possibility they are hoping will open up in their life. I then ask them what ‘bus ride’ they need to take to start that journey. Do they need a bus with a sign that says ‘New Job, or ‘Forgive an Old Friend’, or ‘Join a New Group’, or ‘Active Living’, or ‘Patience Please’, or ‘Live Music’ or ‘New Hobbie’ or ‘Home’. So often they are able to see that they do not have to sort out the entire logistics of their dream. They simply have to be willing to take the first step; to get on the bus. When I was a little girl I didn’t realize that riding a bus to dance lessons would help me later in my life in a most unusual way. It, of course, gave me the opportunity to appreciate music and movement. It no doubt gave my sister a chance to practice being responsible. It gave her the chance, that she grabbed with both hands, to show kindness to her younger sister. It gave both of us the chance to face a challenge together. But today I realize that it also gave me the ability to see that taking a bus ride is simply a metaphor for taking the first step in the direction we want to go. Hopping on a bus for only a very short trip can change everything. It can change what we are able to see, it can give us a new place to make a start, and it can open us up to new people and new possibilities. As Rudy says on pg 71, “An amazing thing happens when you take a leap of faith”. I sort of wish he had said, “An amazing thing happens when you dare to get on a bus”. I work with clients to help them create the life or business they want. Contact me today to learn more about how we can work together to facilitate the change you want. Well, I was NOT going to mention the results of the American Presidential Election. But, I also promised that my blog would reflect my thoughts of the week. And believe me; I have had many, many thoughts about this. I don’t tend to get myself too worked up about things over which I have no control. The 2016 American Presidential Election would qualify as one of those things over which I have absolutely no control. And yet somehow, I found myself feeling completely let down by this particular outcome. I felt disappointed by humanity. I felt let down as a woman. I felt let down as a human being. And I felt let down by human beings. Often in situations where things do not go how we had hoped, we start to have ideas about how the situation would be better if outside circumstances would change. In the case of the election, I may have even hoped for a mistake in counting to have been discovered. As I pondered my disappointment, and more specifically, my futile attempts to alter the outside world to help me feel better, I realized that my reaction to this specific event is the same as the reaction that many people experience when life does not go their way. We commonly look outside of ourselves to find a fix for our problem. Even though it is easy to recognize this pattern of behaviour in other people, and to notice that it is not a particularly effective strategy, it is much more difficult to convince ourselves that looking outside our own lives to solve an inward problem is futile. A man was walking barefoot through the world. He found that his feet were getting pricked by thorns, burned by hot asphalt, cut by stones, and made wet by puddles. As this was very uncomfortable, he looked for ways to stop the pain. The solution that he arrived at was that his journey would be made infinitely more pleasant if leather could simply be stretched over all of the thorns, the asphalt, the stones and the puddles. He complained about his problem and told his tale of woe to anyone who would listen. Although people responded sympathetically, no one was too eager to help him cover all of the earth with leather to solve his problem. In fact no one could really imagine that there could even be enough leather available to cover the earth. Finally, a wise person suggested that instead of covering all of the possible hazards that were obstacles in his journey, that perhaps he could simply take two small pieces of leather and cover his own feet. This simple story holds the key to managing many of our disappointments. In the case of the election, it is not reasonable for me to think that world will, or should, change to help me cope. The election was fair, democratic, and reflected the voices of the electorate. In fact, the election was not the problem at all. My reaction to the election was the problem for me. The result of the election made me scared. It has opened up a new kind of leadership that I am not comfortable with. I struggle with change and I really struggle with loss of control. I was looking for the world to step in and help me to feel more comfortable – to cover up my fear with leather. The truth is that I do not need the world to protect me from my feelings. It is up to me to choose how I will walk through my disappointment. I get to choose my reaction. I get to choose my behaviour. I get to choose which shoes I need to put on to make my journey the most comfortable for me. The shoes I am choosing to put on will be made of sturdy and yet soft leather; sturdy so that I will be confident that I can handle any rough roads that might come my way, soft so that I can remind myself that I know how to deal with change and so that I can accept and be open to new ideas. They will also be made of a beautiful colour so that I can wear them with the confidence I will need to find my voice and to stand up for others who may feel they do not have a voice. As with all of my new shoes, I may experience some discomfort as I wear them in. I have absolutely no control over the president of the United States. I do however, have full control over what shoes I choose to wear. It is possible that I just might need a new pair of shoes every once in a while to help me out on this journey! 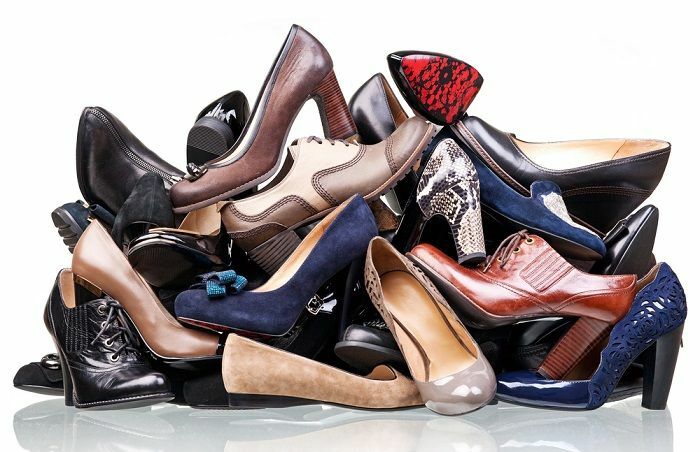 ​Perhaps you are in need of a new pair of shoes in your life. Contact me today to learn more about how we can work together to facilitate the change you want. This week we heard about two lives that were cut very short; one very suddenly, the other after a lengthy illness. It brought back memories of Jim’s heart attack four years ago and once again I was reminded of not only how lucky we were but also how important it is that we remind ourselves to live our lives to the fullest. Jim’s heart issue, it turns out, is a perfect metaphor to illustrate the idea of keeping open the possibility of having a full life. Rudeness, people who are late, insincerity, clutter, violence, laziness, wasting time, materialistic people, bad manners, self righteous people, ignorance, idle gossip, being tired, loss of control, spontaneity, lack of spontaneity, schedules, lack of schedule, unpredictability, lack of integrity, religion, lack of religion, old age, children, racism, intolerance, narrow mindedness, disappointment etc. As the items on the conveyor belt come past the second time, pick off all of the stickered items and plaster them to the inner sides of the circle. You will notice that the more things you plaster on the walls (the more things you can’t be with), the smaller your life becomes. In the extreme, some people create such a small life that they go very few places and have only a very select number of people in their worked. Most of us are not this extreme. However, it is important for us to recognize that each time we decide we can’t be with something, we do in fact, make our world smaller. If for instance we can’t be with loud people, we begin to avoid places and events where they might be. We achieve our goal of avoiding the noise, but we also get the unintended consequence of missing out on some potential wonderful events. I know that I love a clean kitchen counter. I have even said that I can’t stand a messy counter. The truth is that if I allowed this to be a deciding factor in choosing activities in my life, I would narrow my life significantly. Often when my counter is the ‘messiest’, I look around my kitchen and see friends and family, I hear laughing and notice memories being made. I have learned that allowing messy counters to flow through my life, allows me huge rewards. I also notice that by allowing messy counters to flow through, means I am not necessarily choosing for them to be there permanently. Note: There are some situations where it is imperative to keep something out of a life, even though by doing so it may reduce the ‘size’ of that life. This would include any type of abuse. What is interesting to note is that often the life has already been significantly reduced in ‘size’ by keeping the abuse in it. In the long run, removing the abuse allows for a much more full life.